Embracing the great outdoors in The Great White North including Alberta, Ontario, Quebec and British Columbia. Banff National Park is arguably one of the most beautiful places on the planet. 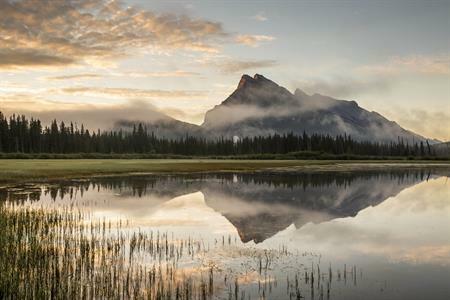 Its crystal-clear lakes, framed by the Canadian Rockies, will take any incentive delegate’s breath away. But if there is still air in their lungs, why not organise an adrenaline fuelled teambuilding activity for them? Groups can take to the waters in canoes or rafts, or they can take to the snow and ski, snowboard or ice skate elegantly along the blank canvas of their surroundings. For those less stable on their feet there is also the option of dog sledding, tubing or tobogganing – no standing necessary. Jasper Planetarium is the world’s largest accessible astronomy park and allows groups to experience the wonders of Jasper day and night. Inside the climate-controlled dome theatre, an astronomy expert will take attendees on an inspiring (and comical) journey through the park and across the Solar System. Then groups can venture outside for a tour of the most powerful telescopes in the Rockies. The Royal Astronomical Society of Canada has officially designated Jasper National Park as a Dark Sky Preserve – a special commitment to protect the night sky and eliminate light pollution in all forms – making it a great place for stargazing. CN Tower: Edge Walk is the best way to see the beautiful city of Toronto – while fearing for your life. Small groups can make their way to the top of the city landmark, strap themselves to what looks like a giant curtain pole, then walk around the circumference. It is officially the world’s highest hands-free external walk on a building, but for those who feel that isn’t enough, they can even dangle off the edge, arms spread wide and give the horizon a giant hug. 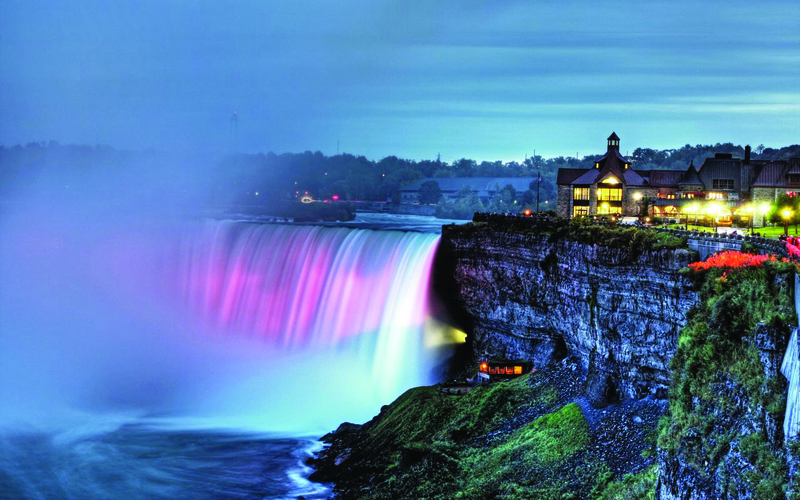 The Niagara Falls should be seen at least once in a person’s lifetime. However, if you’re going to take a group there, get them to see the epic waterfalls in style by keeping them high and dry and taking them up in a helicopter. From above, passengers will see the small dots of those getting wet on boats down below as they take in the aerial views of the Canadian Horseshoe Falls, the largest waterfall in North America in terms of volume and width. Hôtel de Glace is a work of architectural art, entirely built from snow and ice. Located just a few kilometres from Québec City, it’s the only hotel of its kind in North America and gives a spellbinding impression for all those who visit. 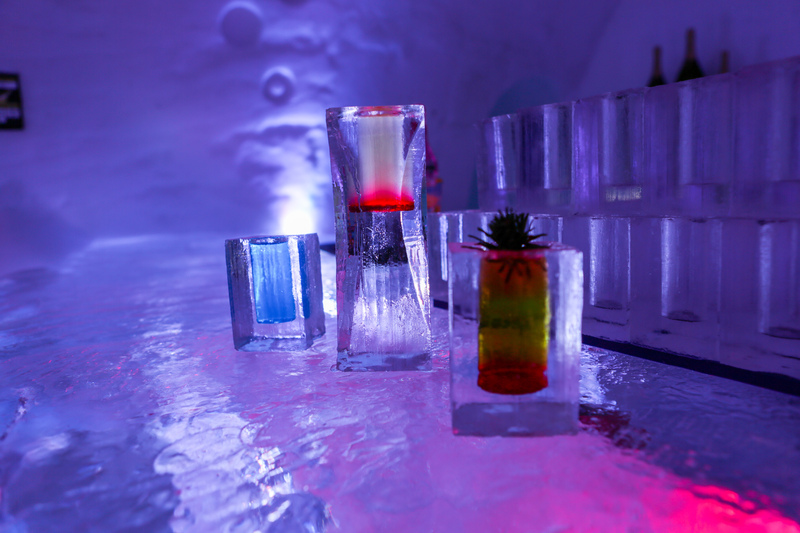 Guests can go for a drink, from glasses made of ice, or they can experience a Nordic overnight stay in one of the 45 themed rooms and suites, with a chance for them to relax in the outdoor hot tubs and sauna. The hotel also provides nice touches for groups, such as carving the company logo in ice, laying out a red carpet or setting off a firework display. Nordik Village has partnered with Fairmont Le Château Frontenac to offer a luxurious ice-fishing experience. The hotel itself is an impressive castle-like building that sits elevated above the rest of Quebec City and looks like something from a Disney film. Inside, the rooms and public areas are the pinnacle of luxury and it is no surprise that this is the same for their partner igloos. Guests can sit snuggled up in furs, accompanied by an expert ice fisher, surrounded by aprés-ski decor that instantly transports you away from the city lake on which the igloos sit. Nimmo Bay Resort is an intimate eco-wilderness lodge that is accessible only by charter seaplane or helicopter, making the journey part of the adventure. Here groups can connect with each other as they connect with the wilderness. The lodge acts as a perfect hub for a number of different activities, from leisurely hikes beneath ancient cedars to sunrise yoga classes amid the tranquillity of the destination. 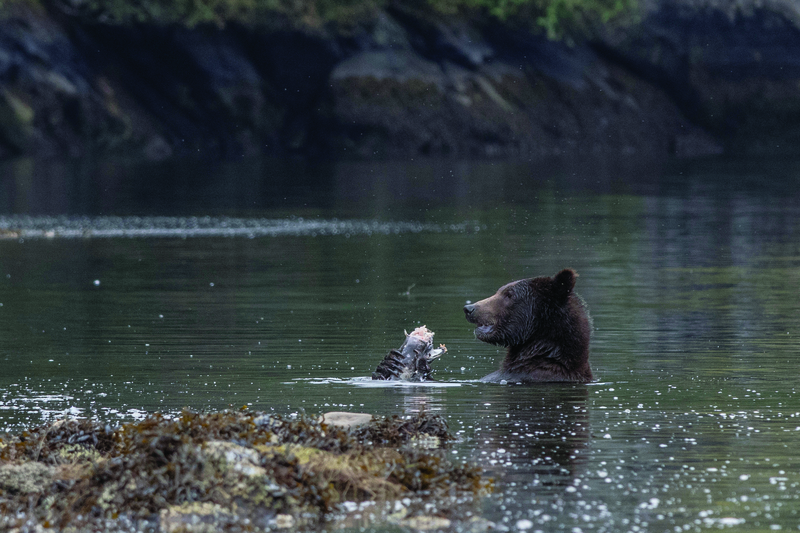 There’s also an opportunity for incentive goers to witness humpback whales, orcas and porpoise in the water or grizzly bears and black bears fishing for their dinner. The adventures can then be rounded off with a relaxing huddle around a floating bonfire, stars shining overhead. Sewell’s Marina is just 20 minutes from downtown Vancouver and offers a Sea Safari EcoTour where guests can find themselves racing beside steep cliffs, exploring sea caves and watching seals at play. This can even be turned into a competitive activity in which groups partake in the Sea Quest Scavenger Hunt. Here, teams of four, in their own speedboats, have two and a half hours on the water looking for clues and collecting items, all the while taking in the beautiful surroundings of the destination.